Here's a video taken by one of our stag party weekend groups on their canyoning activity in the Brecon Beacons National Park in Wales. This is with our Adventure Britain adventure company and this group booked the Full Monty full stag weekend package which includes all activities, accommodation food and transport. If you're going to jump off a waterfall in Wales on a stag weekend then make sure you make a splash! Here's a great video of one of our stag parties coasteering on the Gower Peninsula in Swansea, Wales. THis is one of our popular activities and you can see why it works so well with our stag party weekend groups. However it's not for all our groups as it is physically demanding and requires benign weather conditions with a high tide. For more information on our coasteering activity in Wales then click here. This is another great video taken by one of our recent stag weeeknd groups who visited and took part in our canyoning activity. We're always being asked by our stag party groups for ideas to make their stag trip more memorable. 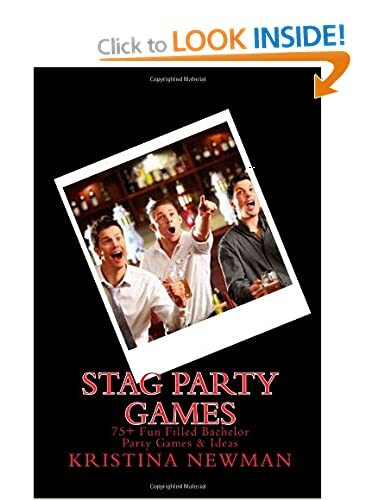 So take a look at this great book entitled "Stag Party Games". See the link on the left. The Stag Party Games book includes an extensive collection of new and updated stag games guaranteeing an unforgettable stag party. So no matter if you are planning a quiet night in with friends or a wild night out on the town we have a game for your stag party. It's also a great activity for corporate team building events.